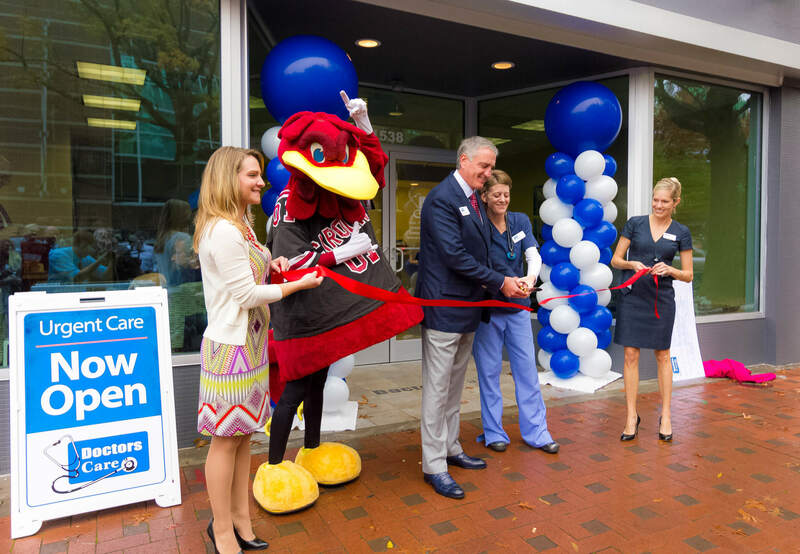 Columbia, S.C. – Doctors Care is pleased to announce the Grand Opening of its Main Street location in downtown Columbia. To celebrate the opening of the newest urgent care location, a ribbon cutting ceremony was held today (Nov. 19) at the new facility at 1538 Main St.
Dr. Thomas Gibbons, president of Doctors Care, said the new facility will help Doctors Care better serve the growing needs of the downtown community. 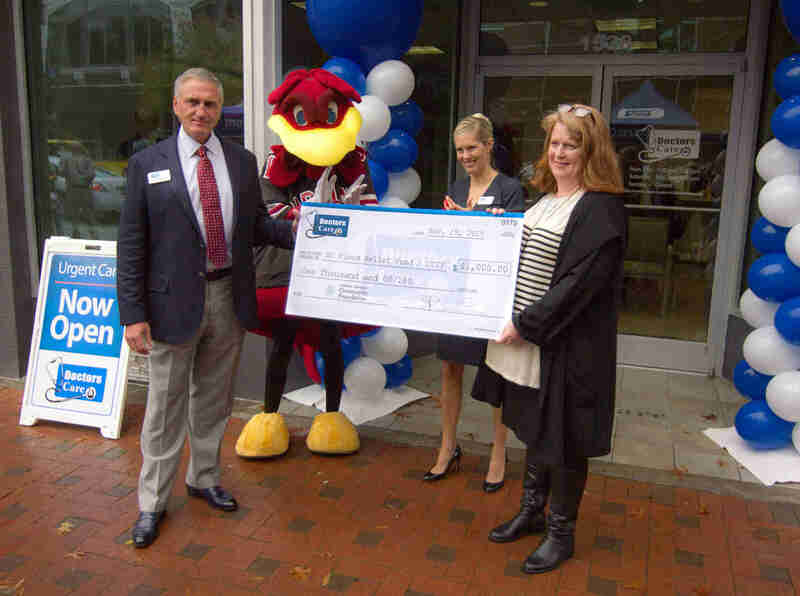 During the ceremony, the University of South Carolina mascot, Cocky, assisted the Doctors Care staff in presenting a charitable gift of $1,000 to the Central Carolina Community Foundation to help with the state’s flood relief efforts. “It is so nice to have this opportunity to not only celebrate our new location in the heart of this great city, but also to give back to those in our community who were devastated by the floods,” said David Boucher, president and chief operating officer of UCI Medical Affiliates. The new Doctors Care on Main is directly across from the Columbia Museum of Art. Hours of operation are Monday- Friday, 7 a.m.-5 p.m., and Saturdays, 9 a.m.-1 p.m.
Doctors Care opened its doors in 1981 as the first minor emergency medical center in Columbia, South Carolina. Today, Doctors Care is a premiere health care organization proudly focused on delivering exceptional urgent care, family care, preventive and occupational health care and specialty services. Most locations offer flexible hours, including evenings and weekends, and do not require an appointment.